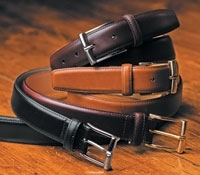 This plump, beautifully tanned Scotch grain 1.1/4" wide belt is made by Crockett & Jones to match their pebble grain shoes. 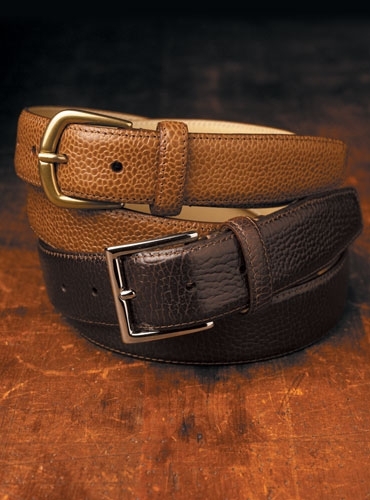 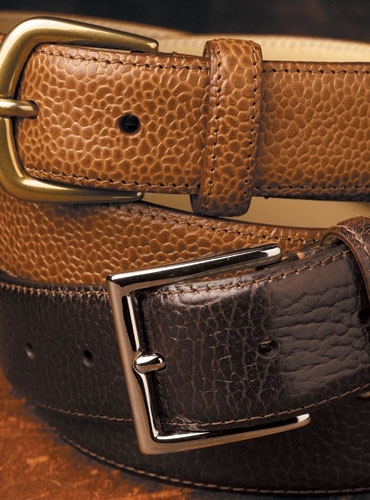 The dark brown belt has a nickel buckle, and the tan belt has an antique brass buckle. 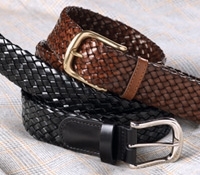 Sizes 32-42. 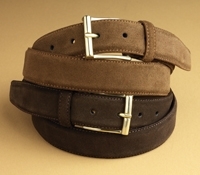 Shown from top to bottom: A-tan and B- dark brown.